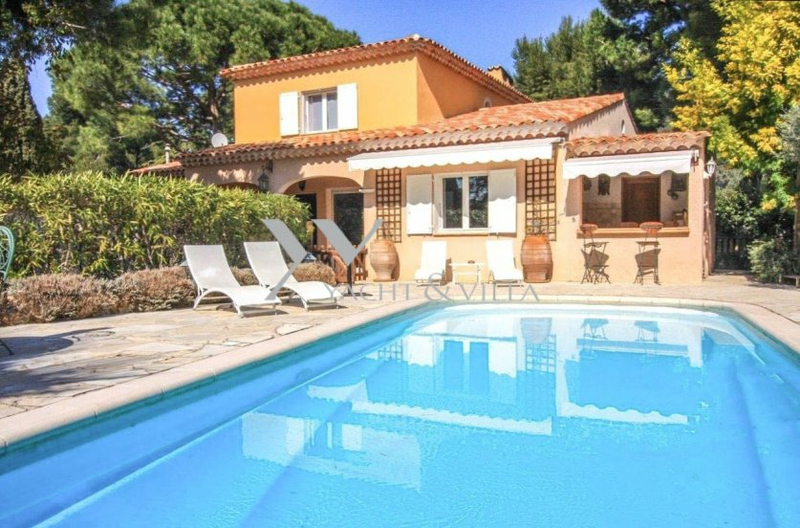 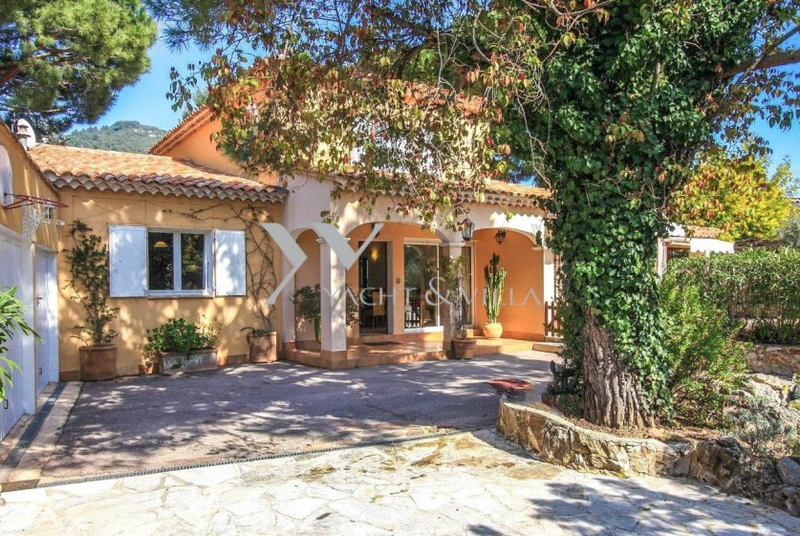 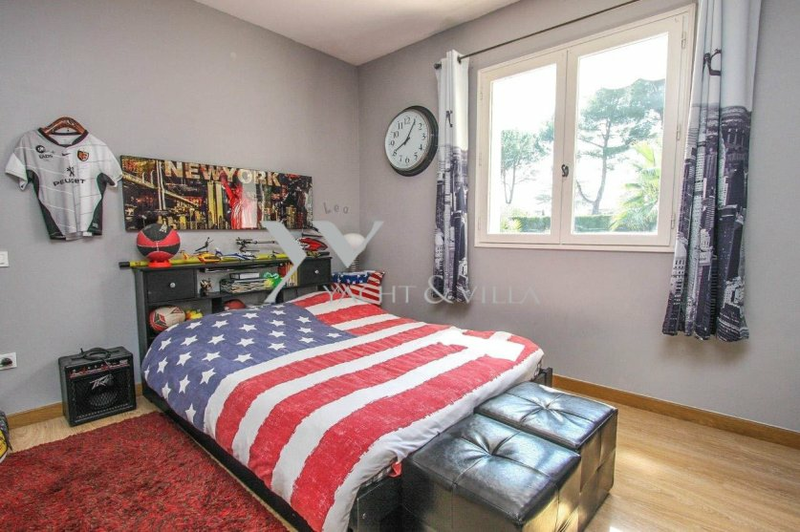 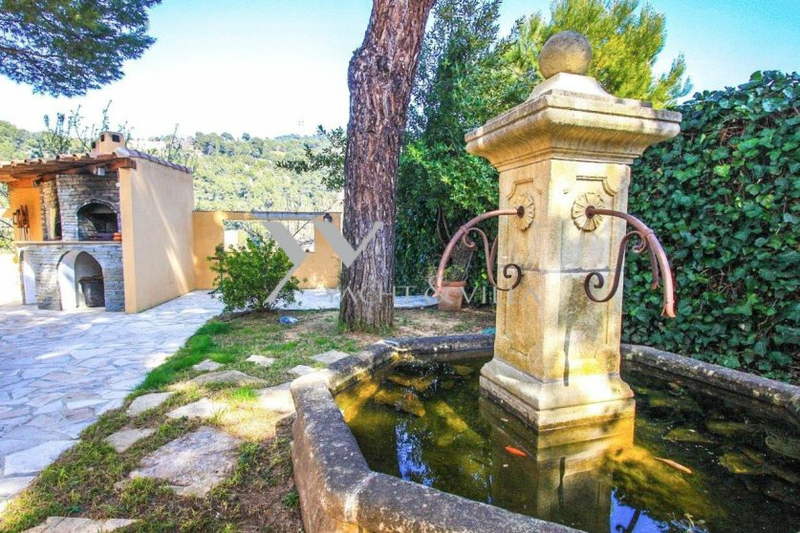 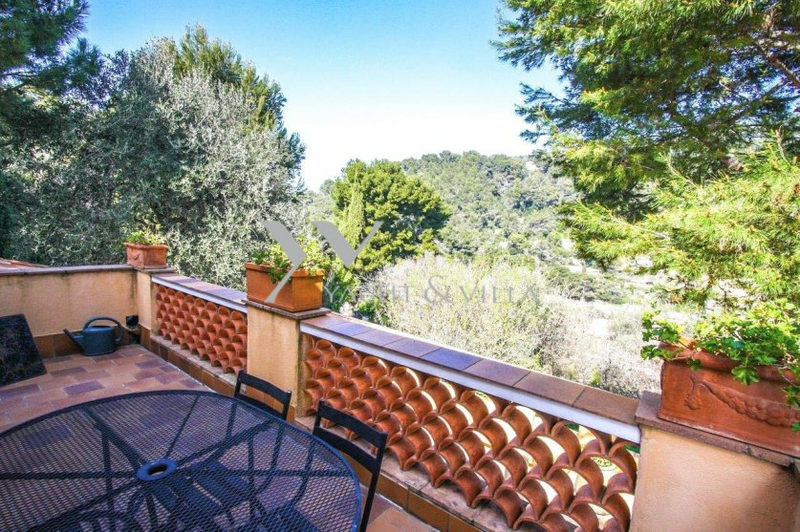 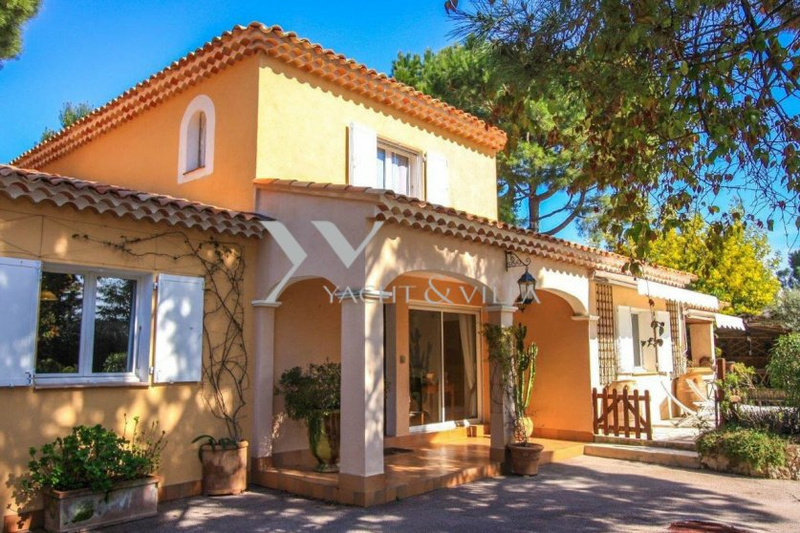 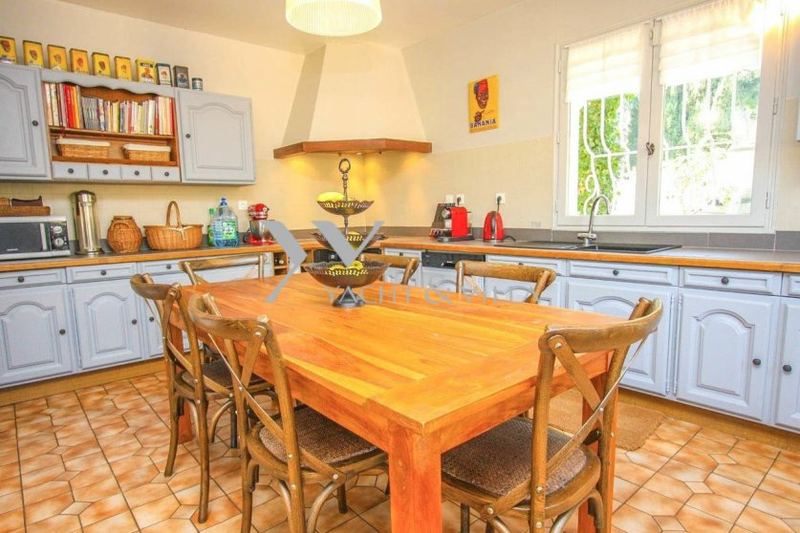 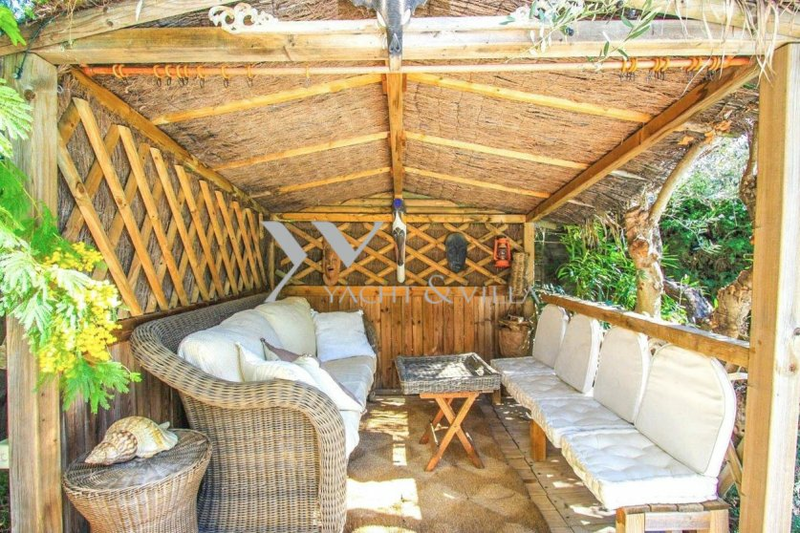 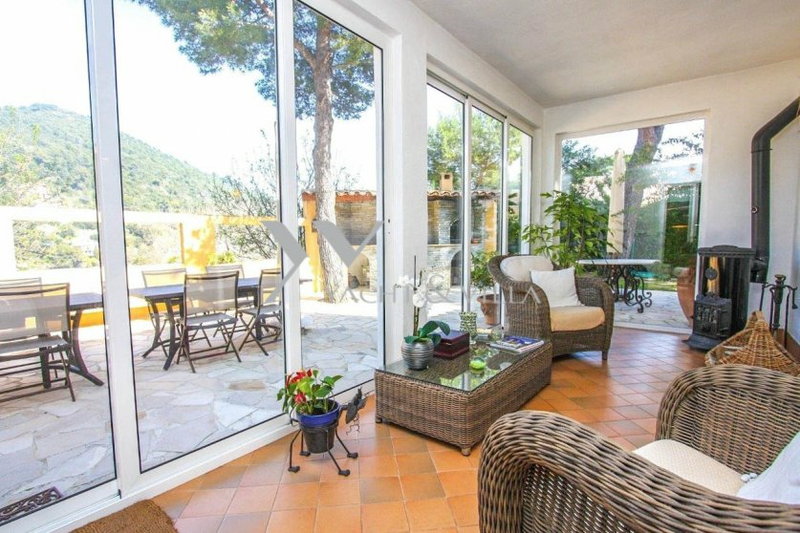 Provencal style villa located in a calm secure domain on the hills above Villefranche with a south exposition, ideally situated to access either Nice or Monaco. 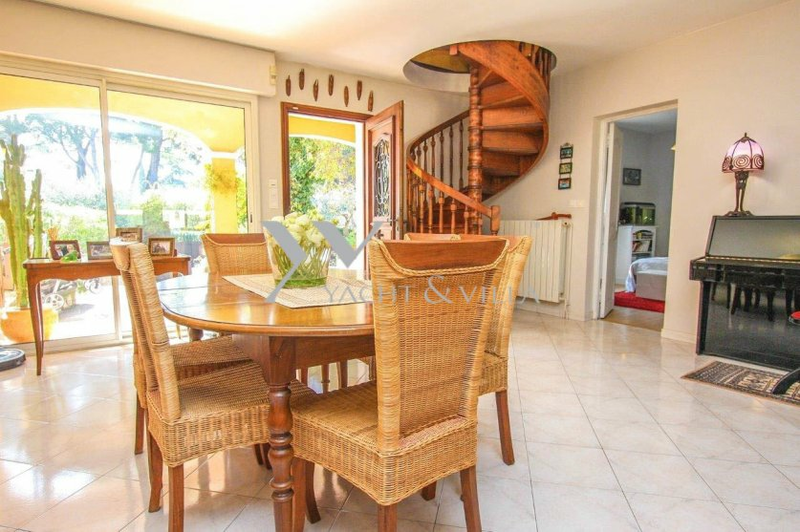 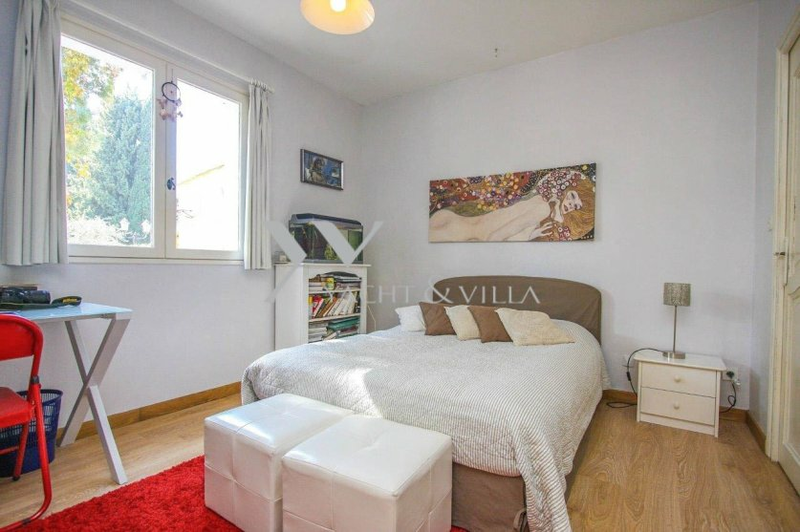 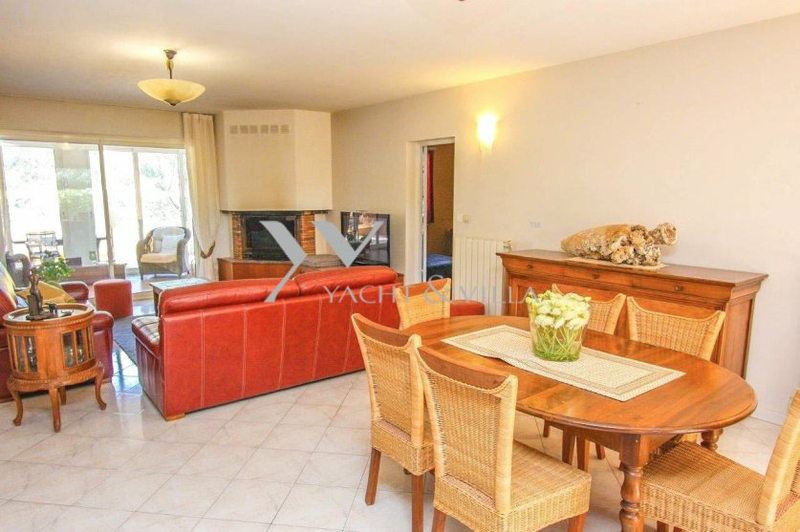 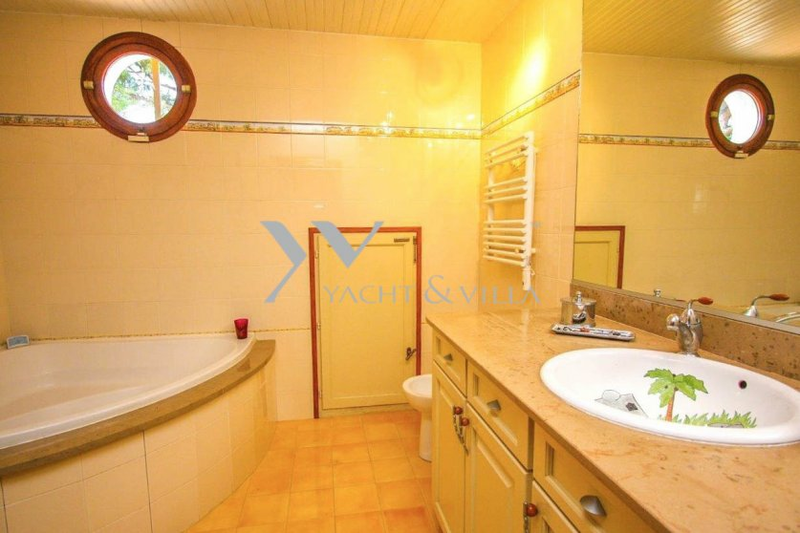 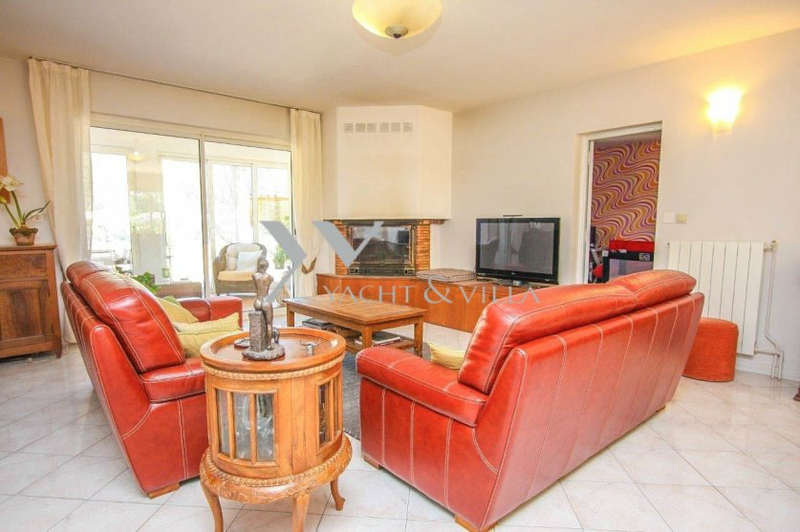 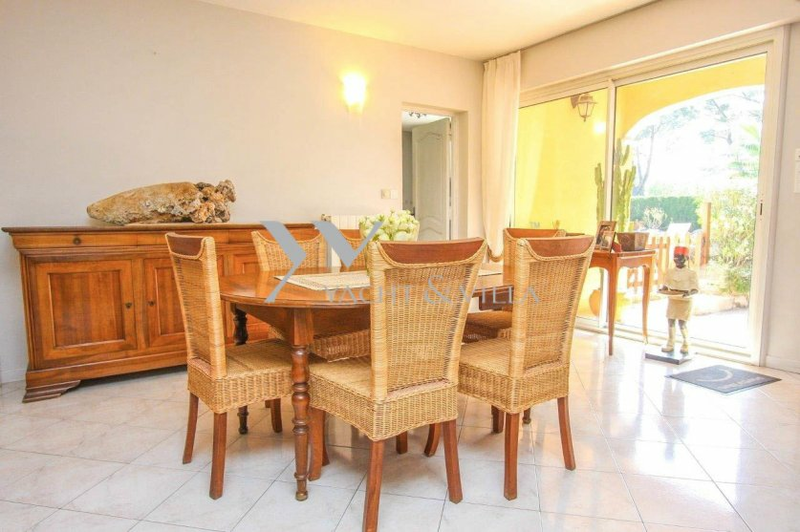 Arranged on two levels the villa is composed of an entrance, large living/dining room 48sqm, family size kitchen open on to a veranda, three bedrooms with bathrooms, laundry and wc. 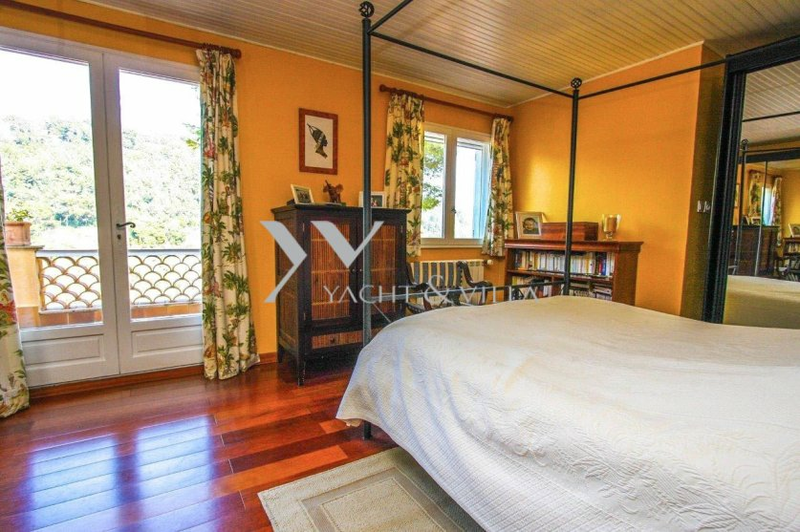 Upstairs is the master bedroom with its own terrace and another bedroom. 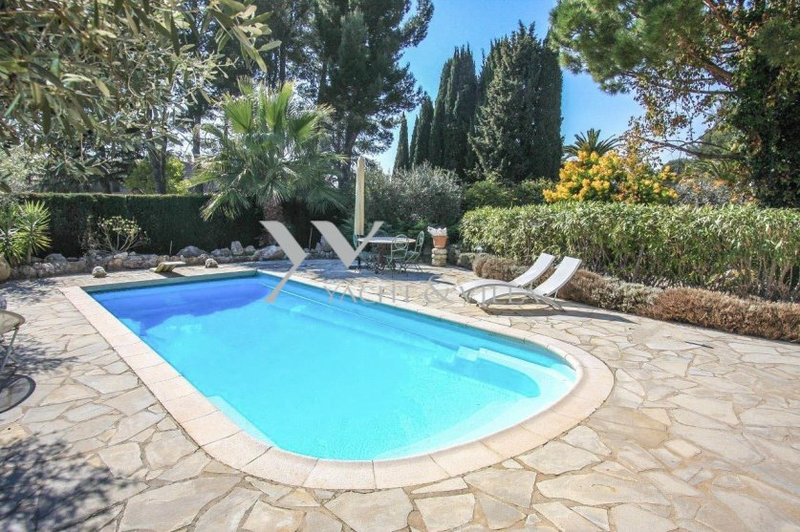 The property enjoys flat gardens with heated swimming pool, pool-house, summer kitchen and outside reception area. 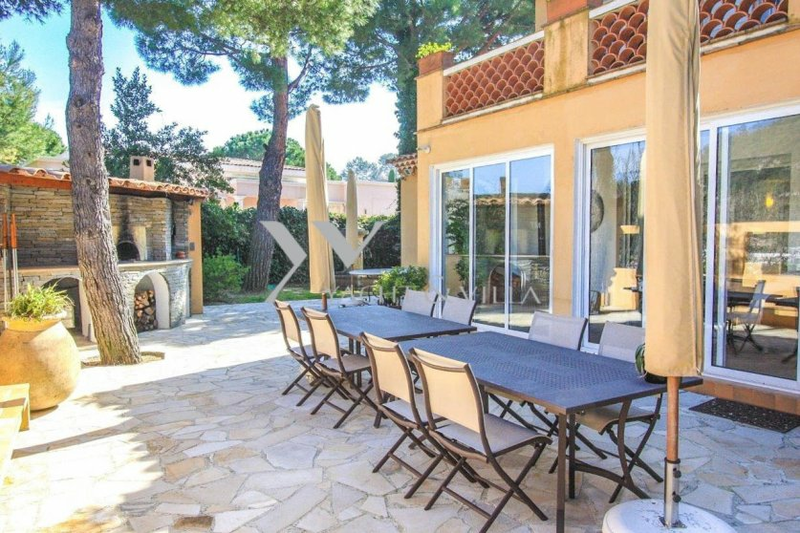 Garage for two vehicles and parking .